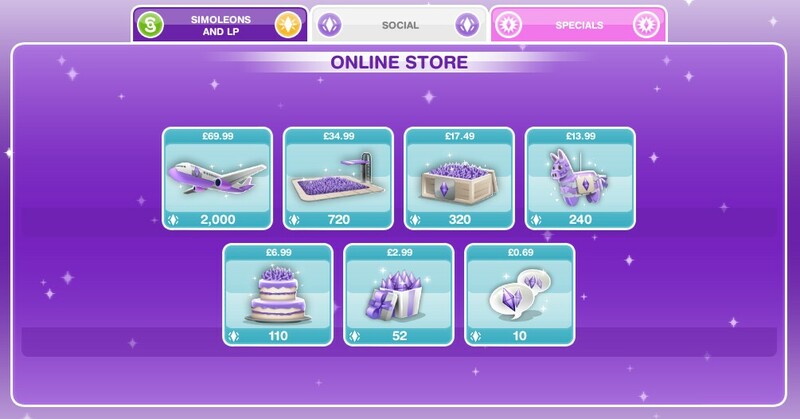 This is a post showing you the items you can buy using real money in sims freeplay- obviously you shouldn’t buy anything without the bill payers permission! I have not brought most of these packs so I don’t know exactly what they are all like but these are pictures I found online to explain them as someone requested this post. If you have any information about any of these packs then please comment! To access the menu click on the purple shopping cart- more information on how to access the online store can be found here. UPDATE: you can no longer buy prizes that you would have unlocked by completing quests in time from the online store, the only way to get those prizes is by completing the quest in time. 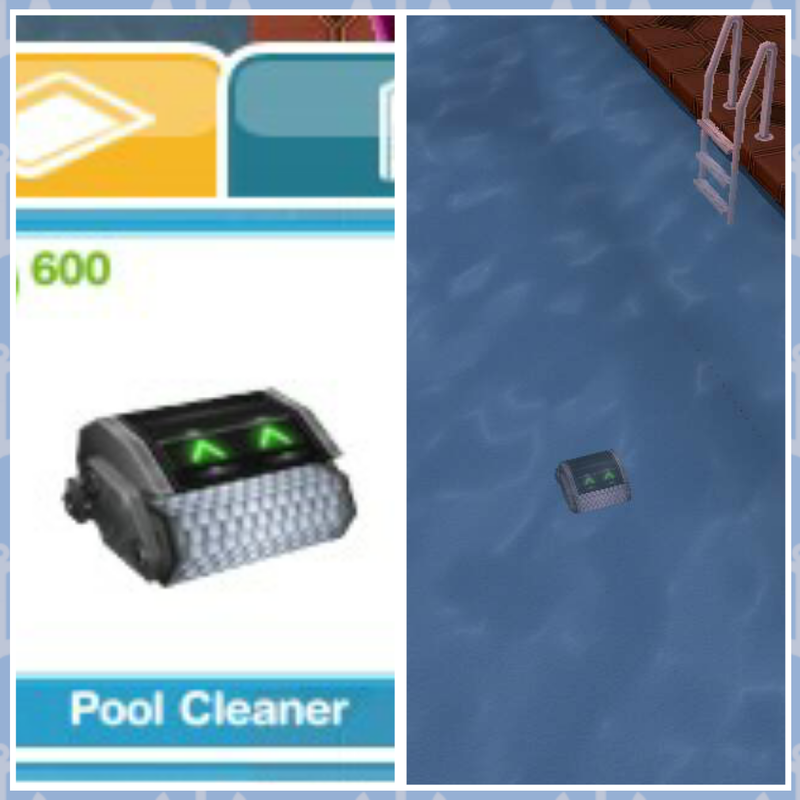 The first one you buy is free, then after that they cost S600 (you can find it in the pool items section after purchasing) I love the pool cleaner, I am a bit lazy and really don’t like cleaning the pools manually so with this you just put them in the pool and you will have sparkling clean pools! This is the only thing I have purchased so far in the game but I definitely recommend it if you want to buy something. 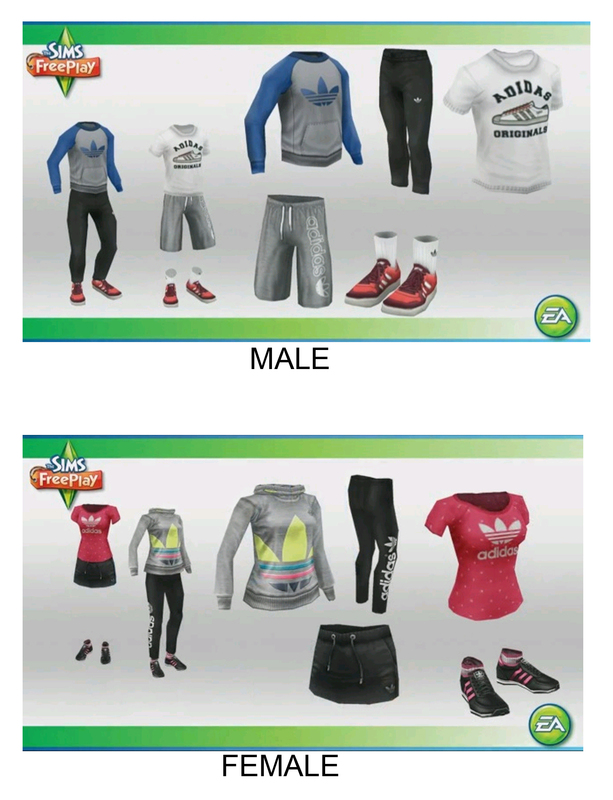 Adidas Originals Males/Females You can purchase these new clothes in the store, you have to buy the female pack and the male pack separately which is quite annoying! Once brought the dolphin slide and inflatable dolphin toy can be found in the pool items tab and you also unlock 3 different dolphin towels. The swimsuit bundle contains swimming costumes for preteen girls, teen females and adults, I think its quite disappointing that there is nothing for toddlers, preteen boys and teen males! You can find these in the costume and swim store. (sorry I couldn’t find any other pictures of this pack!) From the look of the picture there are no LP items in this pack so I’m not sure why you would spend real money buying this. The pack comes with everything you see here and a 5LP bonus. 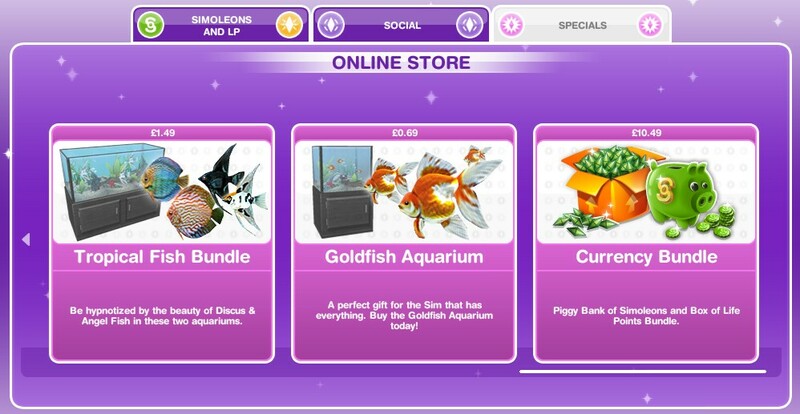 Golden Aquarium (small fish tank) These packs come with an infinite number of the large and small tanks (these are free once you have brought them!) they are a nice thing to have because they are different, when they first came out I got the small one for free and really like them! 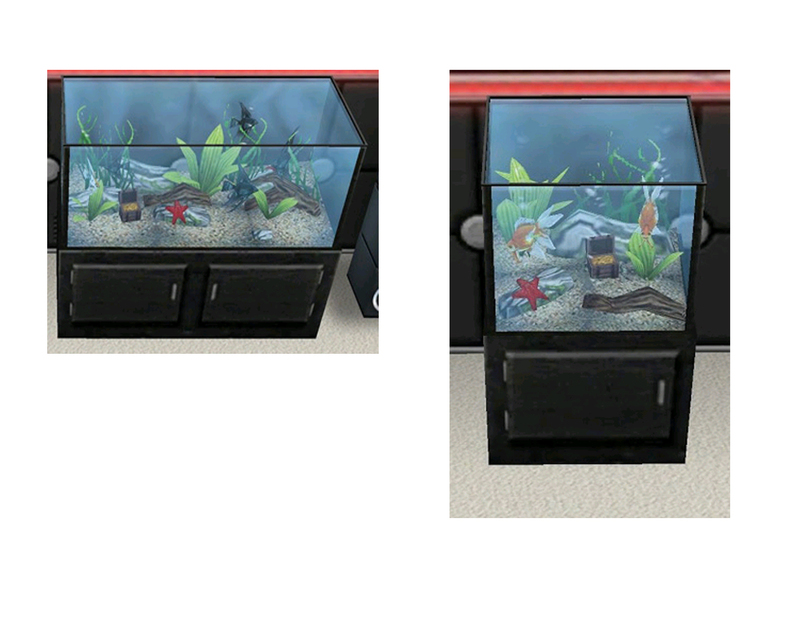 Also adults can interact with the fish. The two tanks are sold separately! It is usually better value buying the currency bundle than the items separately. You can adopt a toddler, preteen or teen for real money, I would select this option from the house you want them to live, with the sim you want them to live with. You can create the sim by changing the first name, gender and all other features and choosing clothes like you do in the create a sim. Their last name will be the same as the family who has adopted them. If anyone wants to share their opinion about any of these packs then comment below and I will try and include it into this post! I am in level 13 and in the need for steed on its last thing. I am planning that after I finish a quest for toddlers I adopt a toddler since I never even had 10 LPs for a birthday cake. Is it worth it? Please not that since its 2.99£ in your country it would be 34.99 EGP. 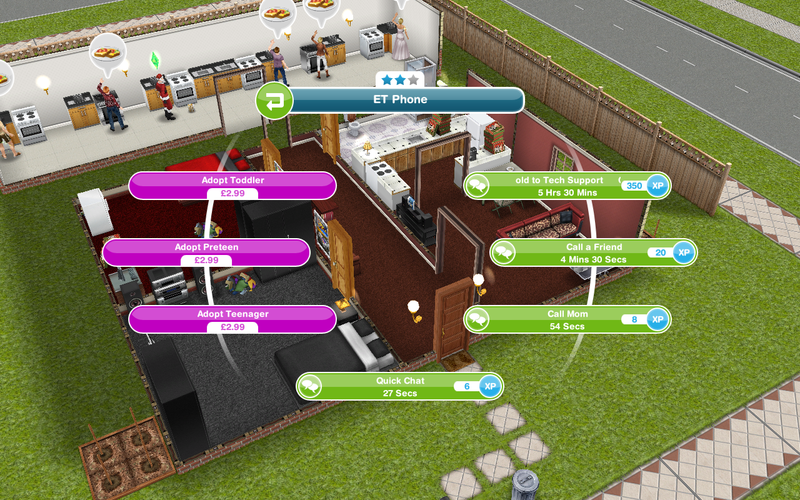 You cannot adopt another sim if you are at your sim count limit. Hi. 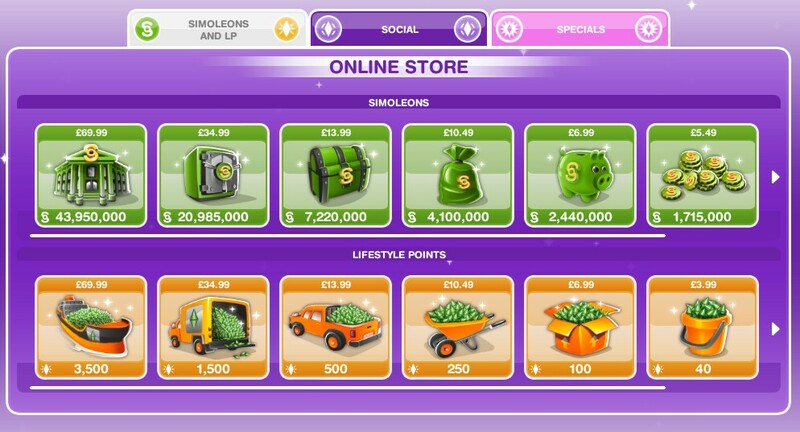 I can’t purchase any simoleons or LP. It takes my money but I don’t get any of what I purchased. I get the receipt. I’ve contacted Apple and they said to take it to EA. Please help. By the way thank you so much for everything you’ve done. I use this so much when I need questions answered. You do amazing work. You may need to restore purchases in the settings, to do this click on the settings button (the 3 dots) and then click on the i button, this will take you to the info tab and from here you can click restore purchases which should add any packs you have brought to the game if they aren’t already there. If there is a bundle that was in the store to purchase with real money and its no longer showing in the store-that means there is NO WAY to purchase the bundle anymore? Right? Yes, some items in the store are only available to buy for a limited time so once it is gone it is gone. The whole pack will earn you points, it tells you on the pack how many VIP points you will earn if you buy it. Can you buy items with a google play gift card?